Happy Christmas one and all. 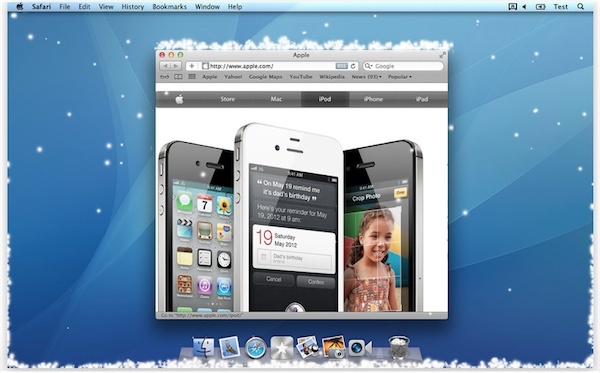 If you haven’t had any snow this year or just want to inject a bit of Christmas spirit into your mac we recommend Let It Snow for your mac. Run the app and let the snow fall down your screen and it settles on the active window. Flakes can be configured for size, depth and the speed of the snow. It;s a fun little app and makes any workplace have a touch of the festive cheer. Available from the App Store Let It Snow – ilia costs a paltry 69p which is nothing for a bit of festive cheer. Btw If you type in Let it snow on google you get a nice little easter egg.